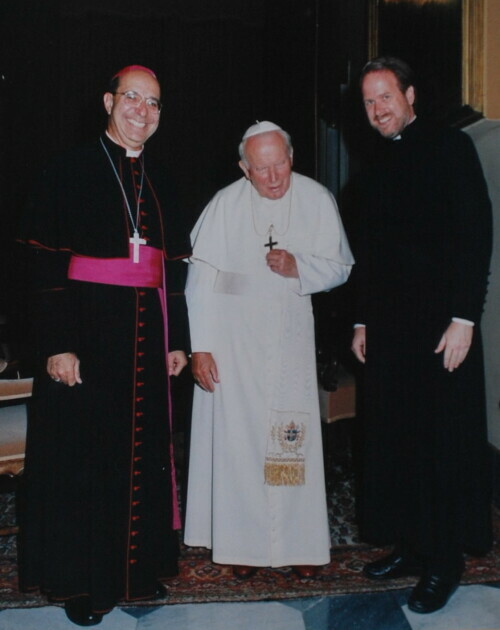 Bishop Armando Ochoa, Pope John Paul II, Father Rick Matty, pastor Saint Patrick Cathedral in Rome. William Henry Fryer (1880-1963) criminal lawyer, son of Brooklyn natives Catherine L. (Flannagan) and William Henry Fryer, Sr., was born on July 8, 1880, in Brooklyn, New York. He was educated by the French Christian Brothers in St. James School and after graduation was employed as secretary to the president of the American Railway Express Company in New York. 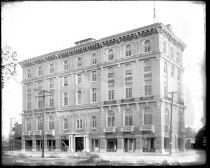 On a western vacation he contracted typhoid fever from water drunk in New Orleans and was taken from the train on a stretcher at El Paso, on July 8, 1904. He stayed a year, recuperating, returned east, then decided to make El Paso his home. After working a year in the engineering department of the El Paso and Southwestern Railroad, he entered the University of Texas law school at Austin, where he worked as a secretary to John W. Townes, dean of the law school. 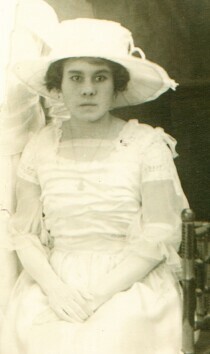 In Austin he met and married Mary Alice Kelleher. Both were devoted Catholics. They had four daughters and two sons; one of the sons was killed in the Battle of the Bulge in World War II. Fryer returned to El Paso to practice law. Beginning in 1908 he also served as a court reporter, so that he could watch the top local lawyers in practice. He was appointed assistant county attorney and in 1916 was elected to that office. His crusade against speakeasies, as they came to be called in the prohibition era, was an early instance of the extensive use of the injunction. He closed more than 100 illegally operated private liquor clubs. Though he made so many political enemies that he was not reelected, he was appointed assistant United States district attorney. In this office he was notable for his opposition to food profiteers during World War I. In 1920 he returned to private practice. 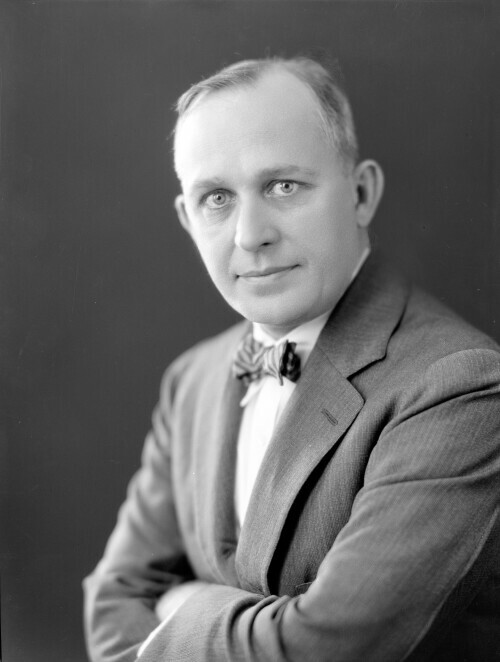 Fryer and a one-time partner, R. E. Cunningham, successfully led the fight against the Ku Klux Klan's dominance of the El Paso school board in the 1920s. 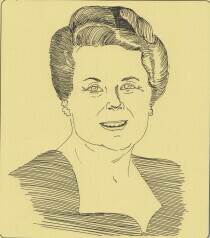 As a defense attorney Fryer participated in several notorious cases. In 1949 he managed, for instance, to get a two-year sentence for murder without malice for Edna Mead, who had killed her mother with a hammer and scissors. The courtroom was always packed for his trials and jury summations, to which some spectators brought lunch so as not to lose their seats. 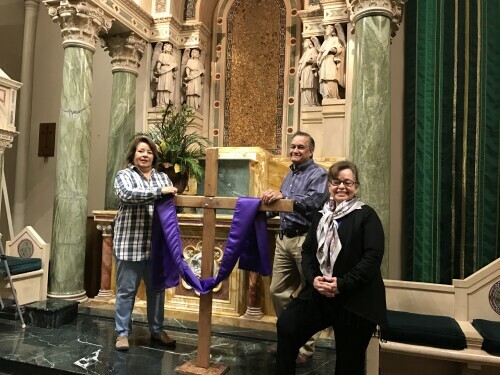 Through Fryer's long association with the Christian Brothers (see BROTHERS OF THE CHRISTIAN SCHOOLS), maintained since his school days in Brooklyn, he induced the order to send members to El Paso when Cathedral High School was being built by the Catholic Diocese of El Paso. The brothers provided the first faculty for the school. Fryer organized the Catholic Youth Organization in El Paso in 1925. He also served as president of the University of Texas Ex-Students Association in 1933 and of the El Paso Bar Association in 1948. He was a member of the Knights of Columbus and started the Catholic Men's Organization in El Paso. He died in El Paso on November 13, 1963. 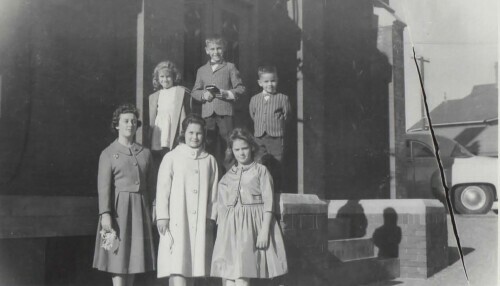 Felix Thomas Antone's First Holy Communion - at St. Patrick's Cathedral - El Paso, Texas with Suzanne Antone, younger brother Joseph Karl Antone, older sisters Eva, Mary Margaret, and Lucy Antone. Photograph taken at St. Patrick's Cathedral's side entrance. 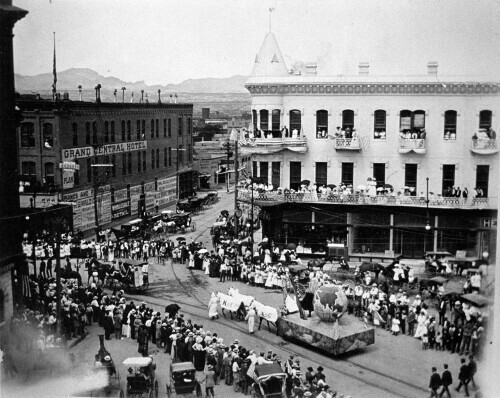 Knights of Columbus parade - downtown El Paso, Texas 1902. Pictured in the photo are Bishop Anthony Schuler on the steps of the Cathedral, Franciscans, Knights of Columbus flower girls, etc. Below is a description from the Centennial book. 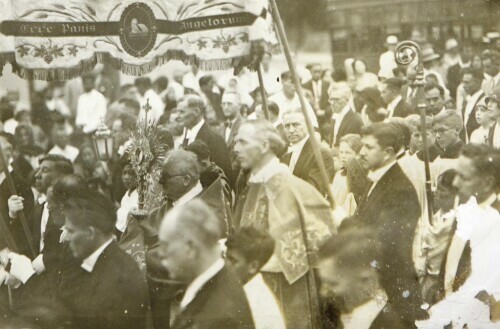 The tradition of the Corpus Christi Procession, started on the suggestion of Bishop Schuler on June 18, 1919 to celebrate the end of World War I, became an annual event for Catholics to profess their faith in the Eucharistic Christ. 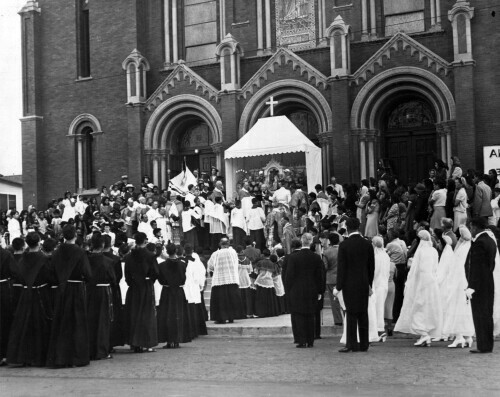 The largest procession was in El Paso from St. Patrick Cathedral to Sacred Heart Church when thousands of Catholics would make the four mile walk although many rural churches also held their own processions on the Feast of Corpus Christi. 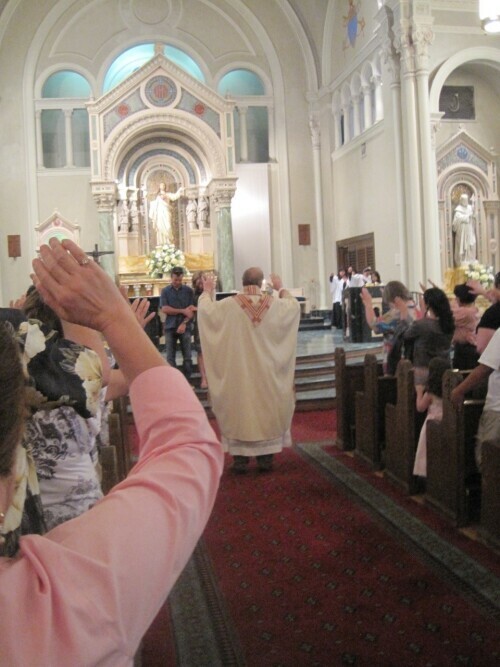 Anthony Joseph Schuler leads the Corpus Christi Procession in El Paso Texas. 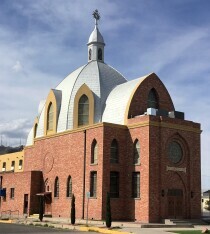 This building is the convent of a group of cloistered nuns in El Paso Texas. 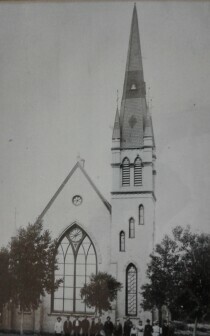 Holy Family Church was the last built by Rev. Carlos Pinto, S.J and dedicated by Bishop Schuler on Sept. 17, 1916. 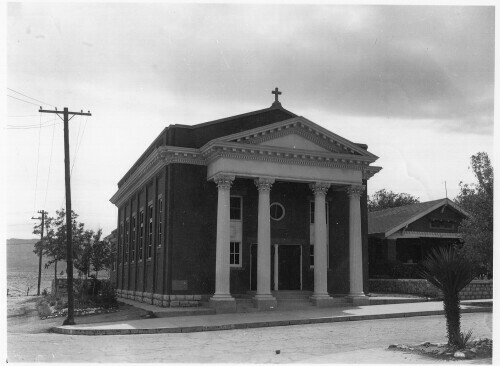 According to Centennial History: The Diocese of El Paso, written by Janine Young, CEO of the Foundation for the Diocese of El Paso, Holy Family “was founded in response to the influx of refugees into the Sunset Heights neighborhood during the Mexican Revolution.” At one time, Young wrote, the parish contained the offices for the Revista Católica Press called Canisius House. The parish’s dedication to helping out migrant brothers and sisters continues to this day. 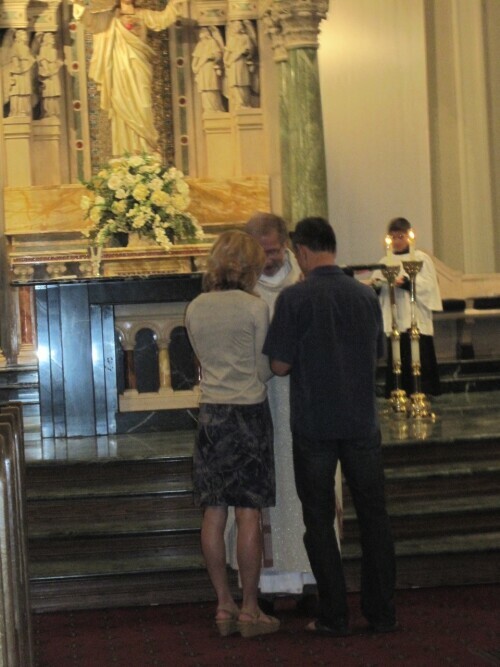 Below is the 35th wedding anniversary blessing that was done on June 10, 2012— 35 years to the day that Highly and I got married at Saint Patrick’s. 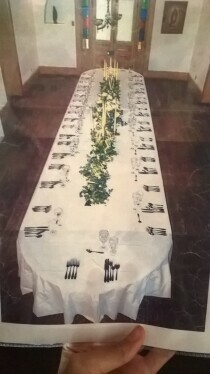 I had called the Cathedral several times to set it up as Highly and I were going to be in town for a niece’s graduation. Never heard back from the rectory.. Showed up on the steps for Mass, approached an usher, and he made it happen… beyond our wildest imagination. Father appeared ( he died that summer in Chicago.. I am sorry I do not know his name). He was so inviting, so gracious. He got our names and then said he would call us up. Not only was he going to do a blessing for us, he was acknowledging all the graduates from kindergarten thru college! He made everyone feel special. He had Highly and I bring up the gifts. 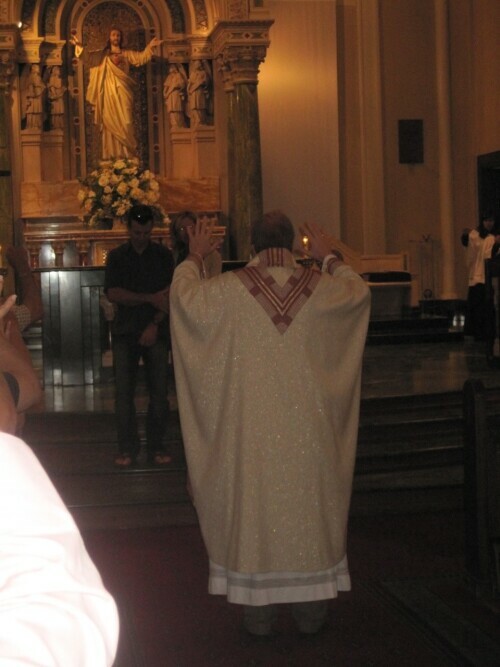 At the end of the Mass, he called us up again… talked to us.. drew laughter from the crowd when he asked if their was passion in the marriage, and proceeded to involve the whole congregation in giving us a blessing. We felt so blessed, so honored..
Never did any of us think that he would be gone that summer and Highly would be gone in November 2012. The priest was Fr. Richard Matty. Fr. Rick, RIP. Correction made -- thank you. 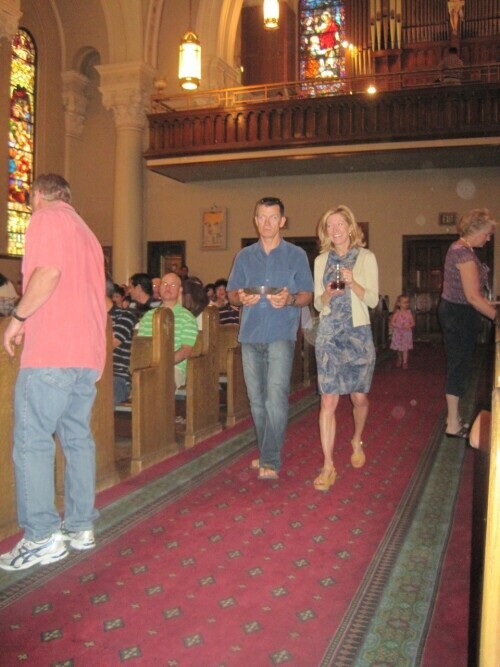 Below is the 35th wedding anniversary blessing that was done on June 10, 2012— 35 years to the day that Highly and I got married at Saint Patrick’s. I had called the Cathedral several times to set it up as Highly and I were going to be in town for a niece’s graduation. Never heard back from the rectory.. Showed up on the steps for Mass, approached an usher, and he made it happen… beyond our wildest imagination. Father appeared ( he died that summer in Chicago... I am sorry I do not know his name). He was so inviting, so gracious. He got our names and then said he would call us up. Not only was he going to do a blessing for us, he was acknowledging all the graduates from kindergarten thru college! He made everyone feel special. He had Highly and I bring up the gifts. 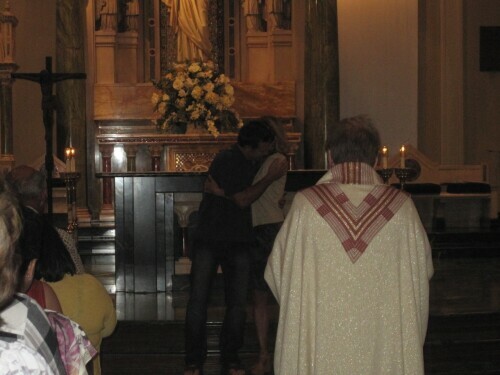 At the end of the Mass, he called us up again… talked to us.. drew laughter from the crowd when he asked if there was passion in the marriage, and proceeded to involve the whole congregation in giving us a blessing. We felt so blessed, so honored. 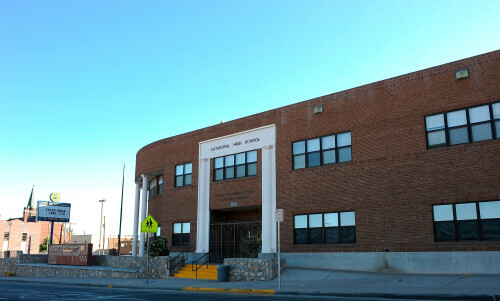 Cathedral High School located at 1309 N. Stanton St, El Paso, TX 79902. 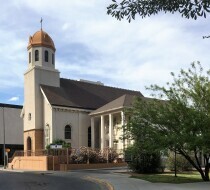 Cathedral High School is a private, Catholic high school for young men in Downtown El Paso, Texas. 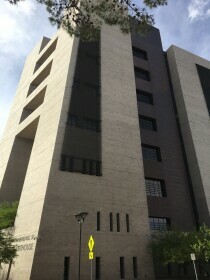 It is located in the Roman Catholic Diocese of El Paso which owns and administers the school. Its mission is "Enter to Learn, Leave to Serve". The school has just over 500 students and draws students from El Paso County, Ciudad Juárez and New Mexico. College courses, taught at Cathedral High School in conjunction with the El Paso Community College, afford junior and senior students the opportunity to complete their first year of college while still a Cathedral student. 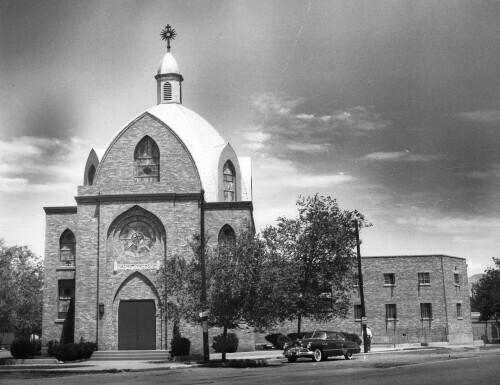 Cathedral High School at 1309 N. Stanton St, El Paso, TX 79902. Cathedral High School was founded in 1925. 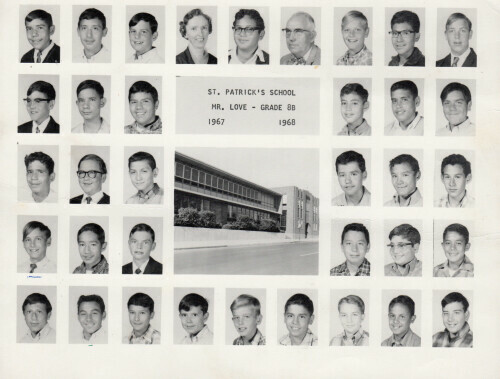 Although the school is owned and administered by the Diocese of El Paso, the Brothers of the Christian Schools (known in the U.S. simply as the Christian Brothers) have been involved in the school since its foundation. Until the late 1950s the faculty of the school was composed entirely of Brothers. Live Jesus in our hearts... Forever!